OK, so Christmas is long over. The first week back at work and (trying) to keep new years resolutions have officially ended any of my yule time fuzzy feelings. However, only now have I got the time to show my christmas sewing santa gifts. Organised by Lisa of http://stitchedupfromthestart.wordpress.com I Jumped at the chance to be part of a secret santa especially for sewing bloggers, you have a limit of £10 and get gifting and posting. I mean getting to do stuff like this was a motivator for me starting my blog in the first place! My gifts and WOAH! I can’t believe how much I got and how generous my secret santa (Eleanor >.< ) was. These where the only sewing related gifts I got for christmas and I can’t believe how thoughtful, an invisible zipper foot! I remember complaining on my blog how I couldn’t keep up with buying all the zipper foots. Everything else is adorable and all around brilliant. 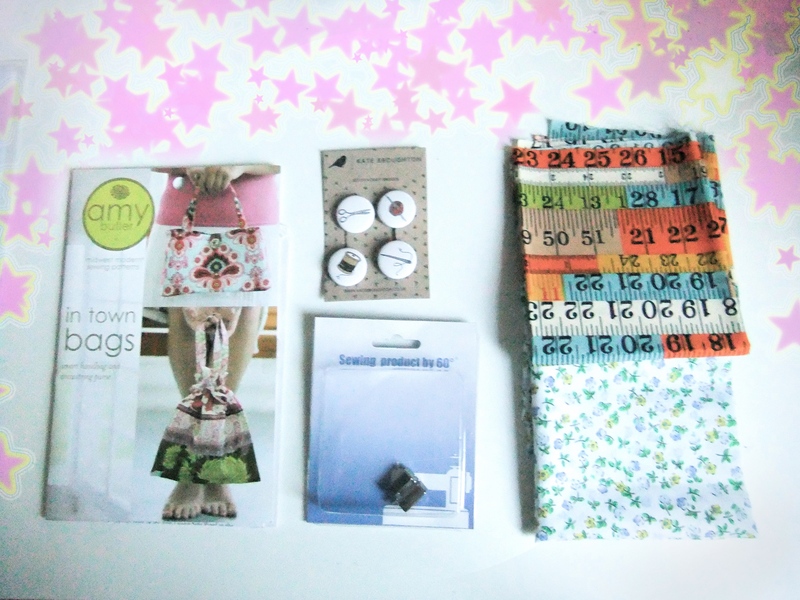 I only hope my secret santa partner, the owner of minerva craft (so no pressure!) Liked what I gave her half as much as I like my gifts. BIG THANKS to Lisa and Eleanor! Aw wow those little badges especially are so cute. Ahhhh you had the owner of Minerva Crafts… I wouldn’t have had a clue what to get!